Local events will also be organized in several cities in the world in 2014 and 2015 in parallel with the online campaign and international events in order to allow the greatest number of people to record their message. 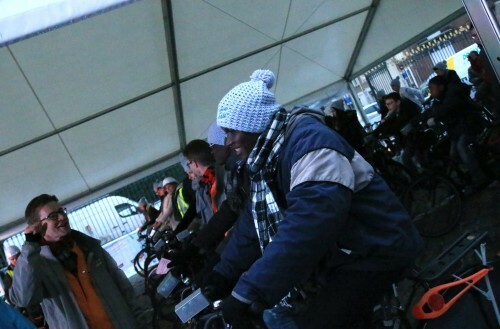 During this event in Douai from December 1st to 5th, the youth of the EYPW, the local representatives and the people of Douai participated in the "Bike-Mapping" activity to fund-raise resources for solidarity projects towards water. 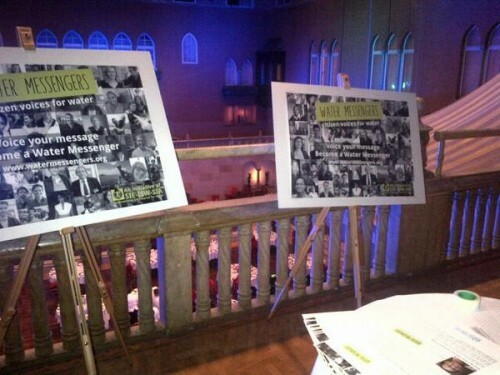 Young Parliamentarians for water also promoted the Water Messengers campaign before and during the event. On this occasion, several personalities as the mayor of Douai, M. Frédéric Chéreau joined the campaign and became water messengers! 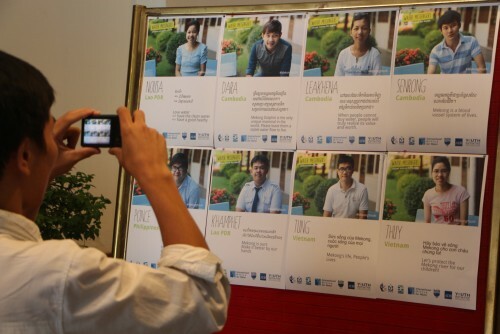 The Mekong's basin young participants worked hard. Around 200 messages have been collected in China, Myanmar, Laos, Cambodia and Vietnam. Thanks to Deltares and Water Youth Network for this event. it has been a new opportunity to collect message and to promote the campaign. 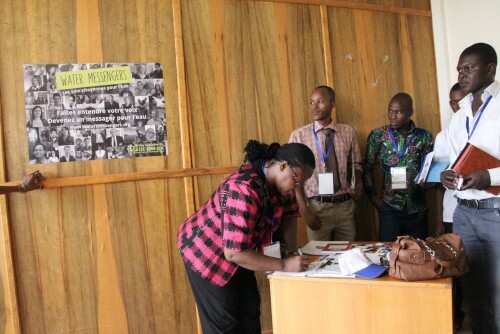 During their participation to this Forum, the young Africans parliamentarians helped to gather messages for Water. 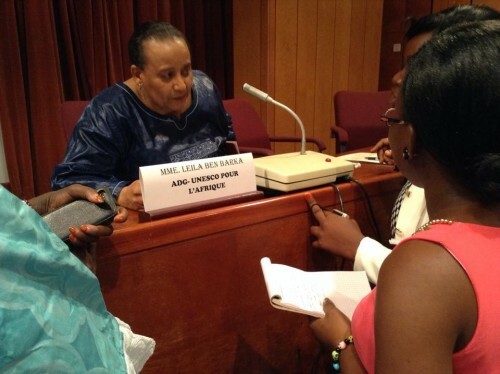 Here, they are discussing with Mrs. Leila Aicha Ben Barka, under-general director, UNESCO – Africa. More than 200 people became Water Messengers. 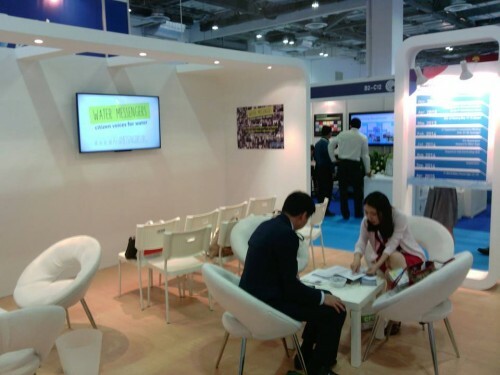 From June, 1st to 5th 2014, it took place the Singapore International Water Week, a global platform. The aim of this week was to share and co-create innovative water solutions. 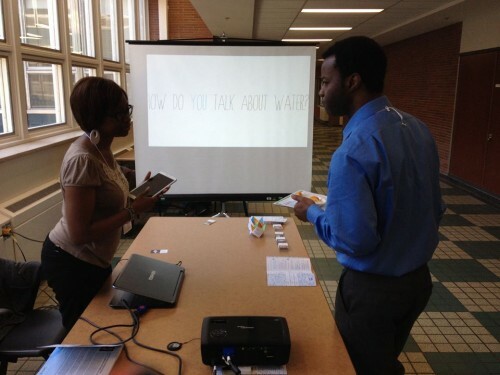 This was another opportunity for the Water messengers to raise awareness people about water and sanitation issues. Many people contributed to our campaign by writing out their messages for Water. Thank you! From May 9 to 11th 2014, Strasbourg hosted at the European Parliament, the European Youth Event (EYE 2014). 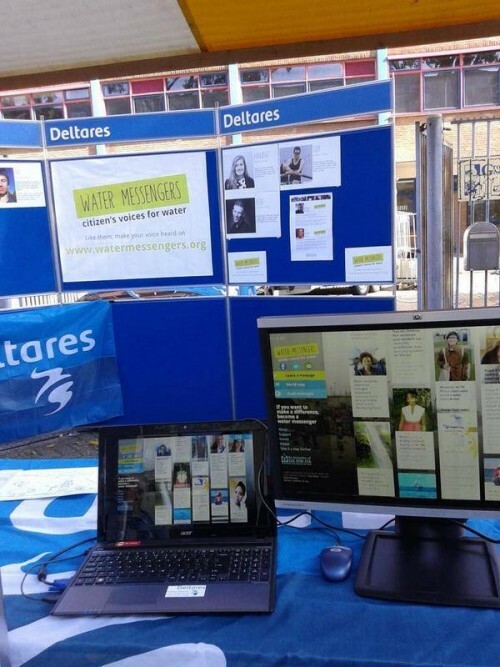 This event was an opportunity for Solidarity Water Europe to promote our new international awareness-raising campaign, the Water Messengers. Some well-known personalities like M. Roland RIES (Mayor of Strasbourg) and Mrs. Catherine Trautmann (former Mayor of Strasbourg, former Minister of culture and European deputy) posted their message. The 3rd edition of the international forum on Integrated Water Management was held in Quebec City from May 7 to 9th 2014. The opportunity for the water messengers to promote their campaign and also to collect citizens’ voices.